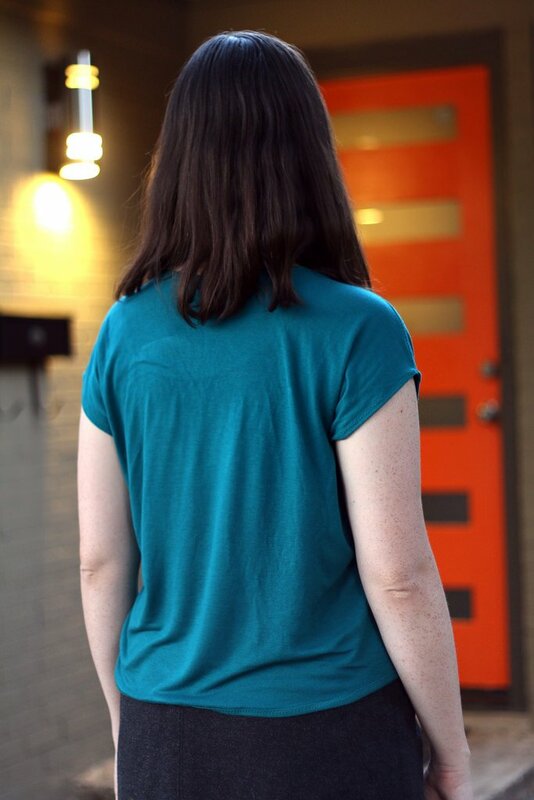 The thing I love about the Blanc Tee is that it truly lives up to its name. It’s the perfect blanc canvas for adaptation. 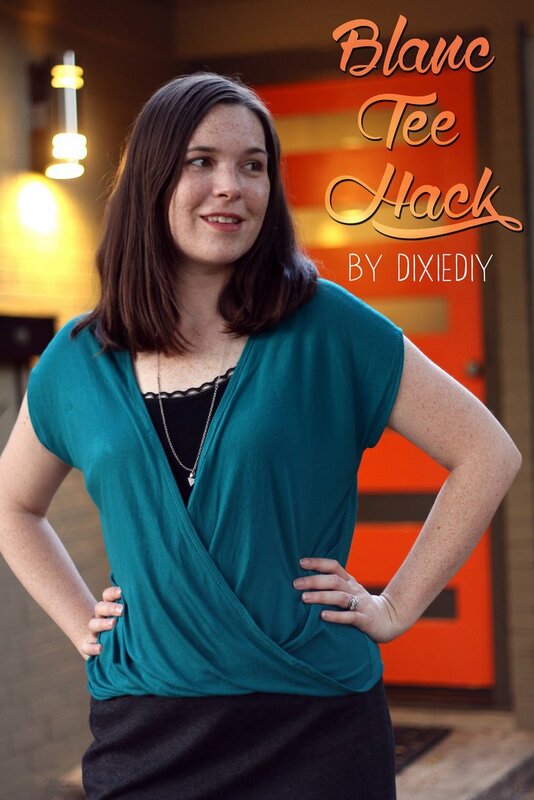 Today I’m sharing a cool twisted hem Blanc Tee pattern hack. You don’t need much for this project – just the pattern, tracing paper and pencils, tape, and a little extra fabric (maybe like another 1/2 yd depending on how wide your fabric is and how well you can fit the pieces on the fabric). 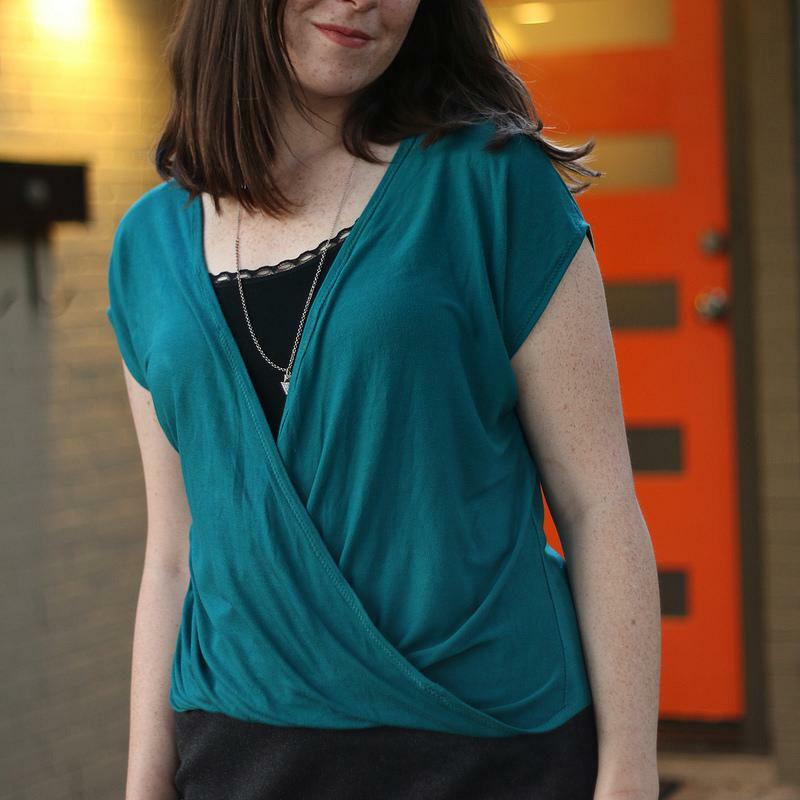 This shirt is made with a long front piece that flips up to create a draped twist in front. The back piece remains the same. Because you will see the wrong side as well as the right side of the fabric, this design only works with fabrics that look the same on both sides like solids, yarn dyed fabrics, sheer fabrics, etc. 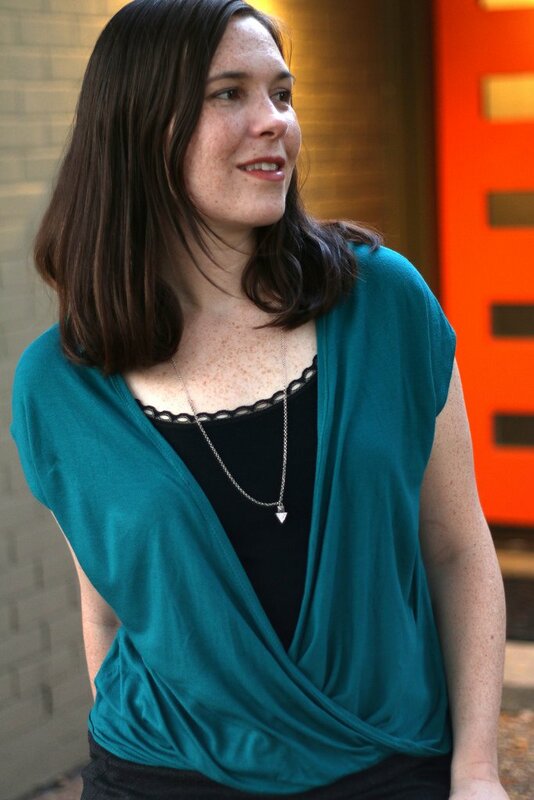 I used a knit but you could also use a woven as long as it is loose and drapey. 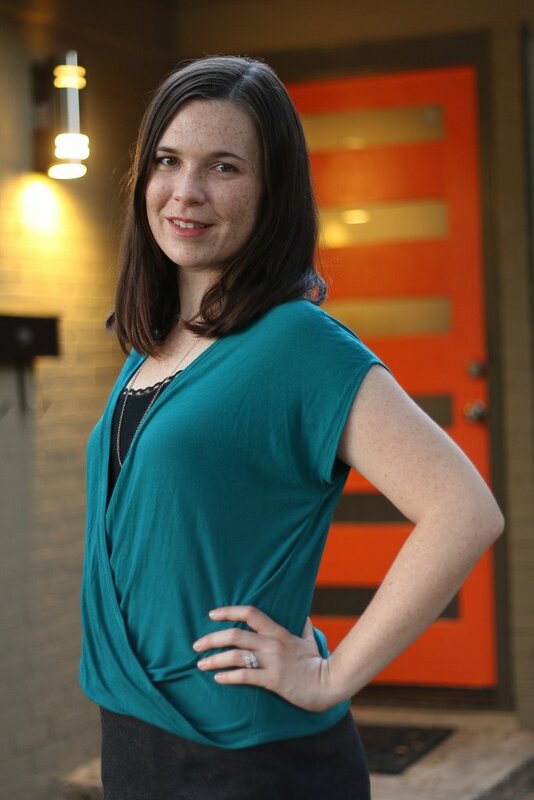 Begin by tracing a full-width copy of the front piece. Next, chop off about 3 to 4in from the bottom of both the front and back pieces. This part is optional, but I just like the look of the curved hem being closer to my waist. 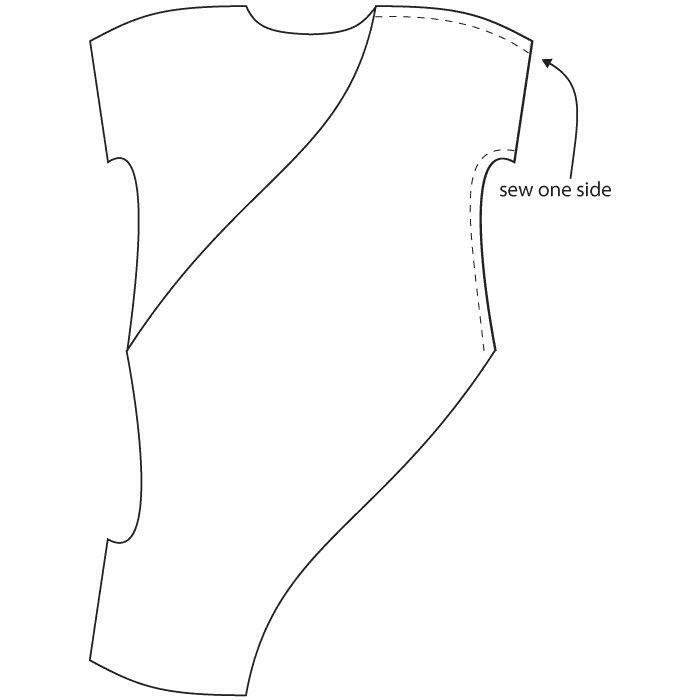 Draw a slightly curved line beginning at one side of the neckline at the shoulder point and extending to the opposite corner at the hem. 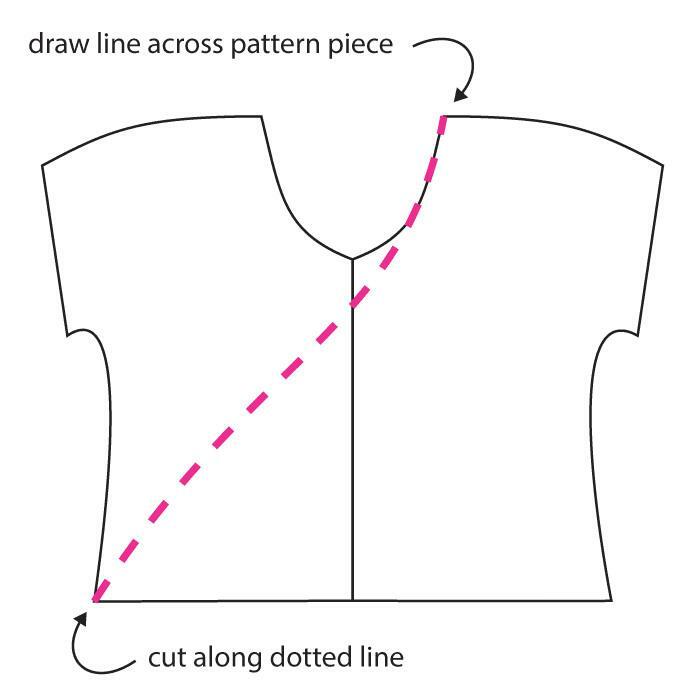 Cut along this line and trace another copy of this adjusted pattern piece. Flip the second copy around and tape it to the bottom of the first copy like in the image below. 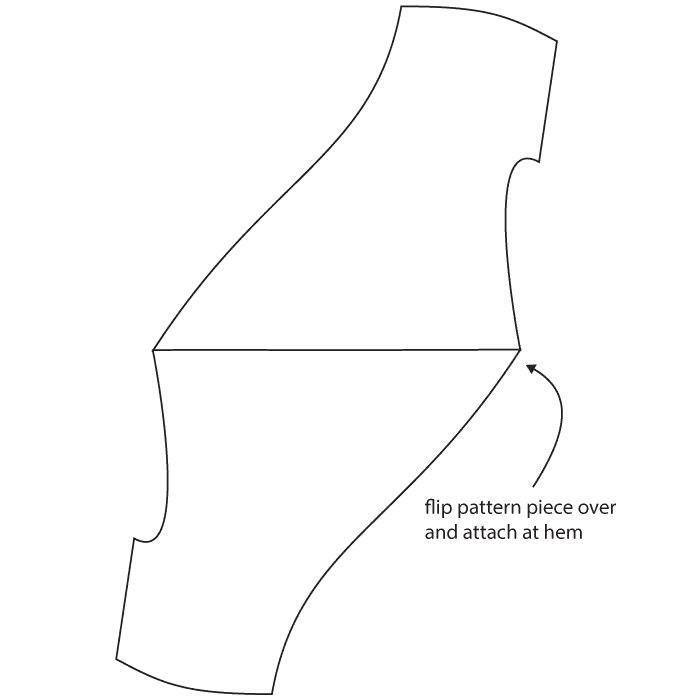 Use this final front piece to cut out your fabric. Cut out the back piece on the fold. 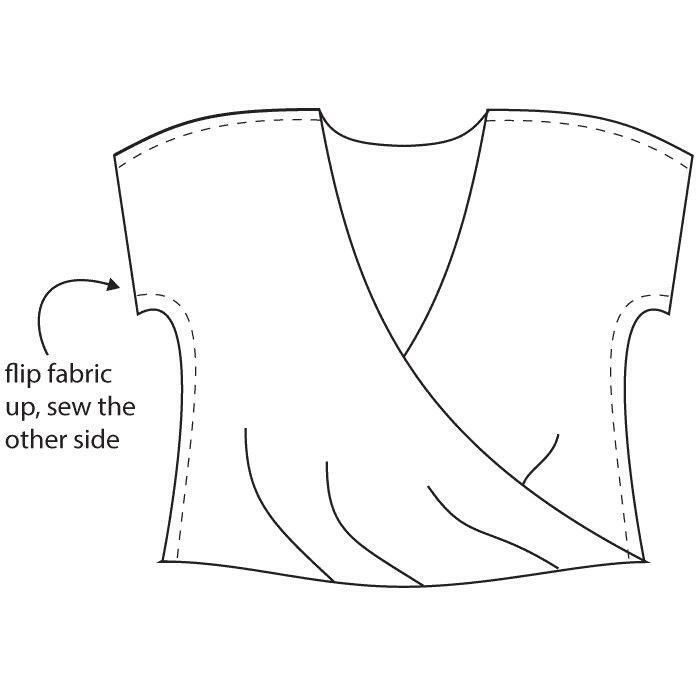 Since there’s no real “right” or “wrong” side of the front fabric piece, be careful in how you sew the twisted front of the shirt. back piece at the side and the shoulder seams. Then fold up the other half of the front piece and pin and stitch along the other side and shoulder seams. Hem the sleeves. 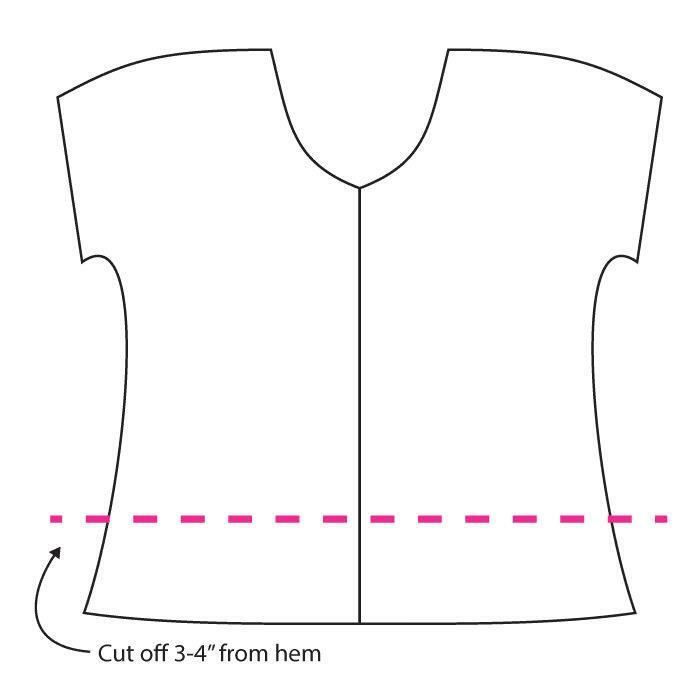 Lastly, sew bias binding (I recommend making your own from the same fabric as your shirt, I cut mine 1-1/4″ wide) in a continuous loop all the way around the shirt starting at the neckline, down across the front, around the hem and back up to the neckline. If you’re worried about the front neckline stretching out, first stay-stitch along the edge using a long machine stitch to stabilize it.